Note: This is obviously NOT a post about education. Given the relative freedom of speech that this blog has afforded me since I left the employ of a quasi-US governmental nonprofit five years ago, I reserve to right to explore other important issues related to Vietnam, including the war legacy of Agent Orange and the issue of food sovereignty as it relates to genetically modified crops. Below is a guest post by Chuck Palazzo, an American war veteran and Agent Orange and Unexploded Ordnance activist and researcher, who is currently living, writing and working in Danang. Consider this rather lengthy introduction an opportunity to add my two cents, echoing some of the points Chuck makes. A 13 October 2014 post on Monsanto’s blog Beyond the Rows, entitled Monsanto and Vietnam University of Agriculture Collaborate to Develop Talents in Agricultural Biotechnology, announced a new VND 1.5 billion scholarship program “for outstanding students studying agricultural biotechnology. This scholarship aims to nurture and encourage the engagement of young talents in the development of agricultural biotechnology and products thereof to support farmers.” How noble but I wish the source of funding weren’t an entity that was once voted the Most Evil Corporation of the Year and which happens to have an unsavory “Vietnam connection.” Audacity (the Yiddish word “chutzpah” also comes to mind) is the correct word to describe this charm offensive. At first glance, I had a visceral reaction to the obscene symbolic and practical significance of this scholarship program, sponsored by Monsanto, one of the companies that gave the world – and profited handsomely from – Agent Orange (AO) and is now reaping huge profits from highly controversial genetically modified (GM) crops. For a paltry $70,000, rounded down, they have bought their way into the Vietnam University of Agriculture and the country’s media, a wolf in sheep’s clothing – in more than one media reference – with a Trojan horse approach to improving the bottom line, so to speak. Keeping in mind that Monsanto’s 2013 revenue was nearly $15 billion, I wonder what the ROI will be on that 70k? Monsanto execs must be smiling like a Cheshire cat at how easy it is to buy access and influence in a country that was once on the receiving end of one of its most infamous products, a country that continues to pay a steep price in environmental degradation and human suffering, as do US war veterans and others exposed to AO. If the world were just, Monsanto is one of a number of multinational companies of US origin that would be forced to compensate the millions of victims – here, in the US and elsewhere – for the multi-generational effects of one of their marquee products, Agent Orange, rather than being given the opportunity to (once again) profit from Vietnam. If they want to curry favor with the public here and massage global public opinion, why not establish a multimillion dollar grant program for AO victims, all four generations of them? No need to accept any responsibility, just make the lives of these people more bearable, less painful, more livable. Just do the right thing. Monsanto has two offices in Vietnam. Note: Dekalb is a Monsanto subsidiary. As I read this, several ethical questions immediately came to mind. Could it possibly be that the same Monsanto that manufactured one of the most disastrous herbicides in history, Agent Orange, has been allowed to resurface in Vietnam in the guise of agriculture? To be more precise – GMO – Genetically Modified Organisms and Seeds? That is exactly what has occurred. According to various estimates, the U.S. military sprayed approximately 11 to 12 million gallons of Agent Orange over nearly 10% of then-South Vietnam between 1961 and 1971. One scientific study estimated that between 2.1 million and 4.8 million Vietnamese were directly exposed to Agent Orange. Vietnamese advocacy groups claim that there are over 3 million Vietnamese suffering from health problems caused by exposure to the dioxin in Agent Orange. OK, Monsanto, agreed that you were and continue to be complicit with the US Government. OK, it’s convenient for Monsanto and the other manufacturers of Agent Orange to hide behind the US courts. But is it OK for this same Monsanto, which lied to the public about the deadly effects of Agent Orange, be allowed to return to Vietnam under the guise of improving agriculture? Is it OK for this same company that has been responsible for some of the worst chemical concoctions known to man (PCBs is another example) are now held in such high esteem that the Vietnam Ministry of Agriculture awards them The Sustainable Agriculture Company Award? Sustainability? GMO’s do not contribute to the sustainability of agriculture or anything else for that matter. To make matters worse, some of the same components used in Agent Orange are also being genetically implanted into GMO seeds – for human consumption. Other GMO seeds have been developed to withstand mega-doses of herbicides without killing the crop itself – albeit, the chemicals will saturate and ultimately destroy the surrounding environment. This is clearly NOT sustainability. Monsanto has not compensated any victim of Agent Orange in Vietnam, the US, or anywhere around the world for the death and destruction this corporate giant has been responsible for over the years. They refuse to. They hide behind US laws, which, in my opinion are a disgrace, as evidenced by my own fellow American veterans who continue to die as a result of their own exposure to Agent Orange and the countless Vietnamese victims who I see and advocate for daily, many of whom are 2nd and 3rd generation victims. Monsanto is an incredibly large, multinational company that has the financial capability to do as they please – in the US, in Vietnam and throughout the world. GMO’s do not resolve the world hunger problems; they do not resolve drought-related issues. Poor farmers around the world enter into contracts with Monsanto that ensure the seeds they use are destroyed at the end of each season – forcing the farmer to continue to buy seeds from Monsanto. Yep, control the food and you will control the people. What about food sovereignty? There is none as long as Monsanto is part of the agricultural food chain in Vietnam and anywhere their seeds are being used. Sure, let us recognize talent in our universities and grant awards and scholarships based on academic achievement. But not by using the blood money Monsanto has granted to the Ministry of Agriculture, paid in part by profits earned from the Agent Orange they manufactured and sold to the U.S. Government during the American War. The same Vietnam that was saturated with Agent Orange. The same Vietnam whose victims of Agent Orange who, now very well into the 3rd generation, continue to suffer and die, for very likely, many more years to come. Below is a recent exchange on the Vietnam Studies Group (VSG) listserv between a Vietnamese-American professor and a young Vietnamese who recently graduated from a U.S. institution of higher education. 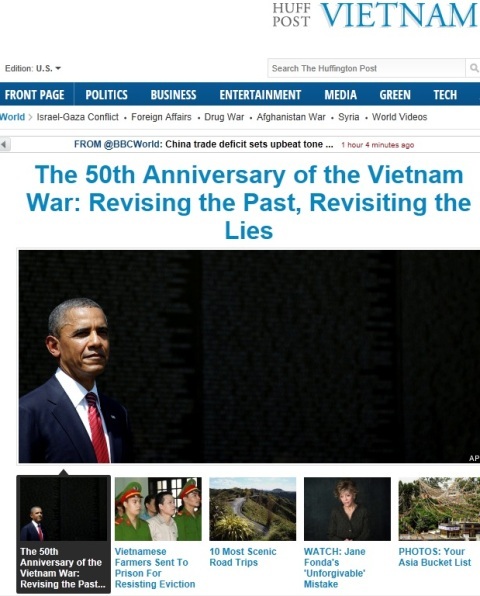 The original post is in reference to an article by Roy J. Nirschel, president of the American University of Vietnam (AUVN), entitled “Picking Up the Pieces: Vietnam’s Class War – Setting up an American-style university in Vietnam has got to be easier than winning a war, doesn’t it?”, which appeared in The American Interest on 19 December 2013. I think Dr. Nirschel is quite optimistic. The US fought its last war with Vietnam on its terms and still lost. This time, Dr. Nirschel is fighting this battle on the Vietnamese’s terms. I wish him and the American University the best in its efforts. I wonder how one can have critical thinking when one is not permitted to be critical. As a recent grad and thus still consider myself in the age range of college kids, I would like to answer your question, even though it is rhetorical. I have spent 16 years under the Vietnamese education, from kindergarten to high school and pass the university entrance exam (after which I studied abroad), how I can stay critical, and I know for a fact that many others also do, is through social media and attending groups/forums like VSG. 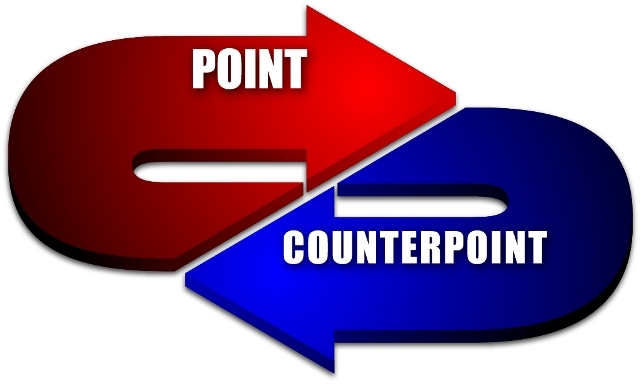 Although me and my friends are from privileges positions and therefore could be said to not representative enough of the general population, to say that we are also the antithesis of it is wrong. I agree wholeheartedly with the portrayal of the difficulty that Vietnamese education is suffering, however, I do not think that Vietnam as of right now is only Confucianist and Communist, it is also Buddhist, Capitalist and in a lot of way, Cosmopolitan, among others. Such diversity of ideologies that is held by all social strata is precisely how critical thinking can form: Vietnamese always strive to understand each other first, due to an emphasis on relationship and connection of everyday life, and thus discourses between these ideologies are constructed organically to inform the population of ideas other than the rhetoric of the Party. The problem various higher education, and education in general in Vietnam, is that domestically, nobody care enough. It might be true that Vietnam spends a higher proportion of GDP on Education, but I do not think it speaks to the quality of education, or even the effectiveness of how the funds are spent. As a consultant in the field of human development, I can attest to the fact that the funds are not well spent and the quality is bad. However, I am seeing a genuine interest in SOEs, especially in the petroleum industry where they now have to partner with MNCs frequently, for human development. This, in turn, have created demand for higher quality upstream, midstream and downstream employees, which, in turn, have prompted universities to reconsider their approach on educating the future employees. So I can also attest to the potential of Vietnamese higher education. 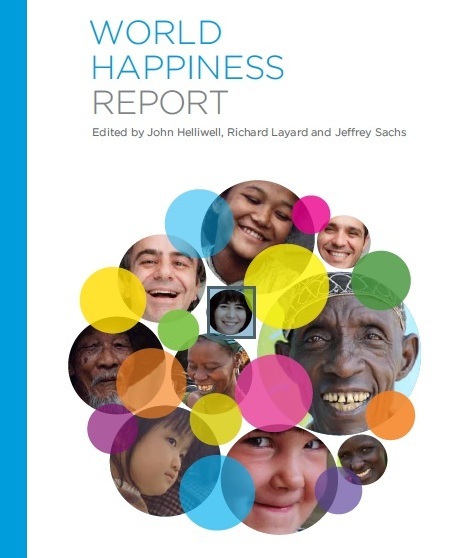 Perhaps you have seen the feature in Time this week on happiness, which notes that in the (2012) World Happiness Report (PDF), published by the Earth Institute of Columbia University, the US ranks 23rd out of 50 countries, trailing, among others, Viet Nam. I’d love to hear your thoughts on this. It’s an entirely subjective poll. Vietnam ranks near the top every year — whether because Vietnamese are fundamentally more optimistic, or disposed to tell an interviewer what they think he wants to hear, or both, or neither, I just can’t decide. 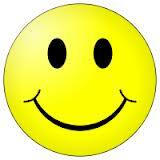 Of course it’s subjective because in the scientific world, people have a nice name for ‘happiness’, i.e. Subjective Well Being. Now drinking coffee in Saigon, I can’t help feeling that this is such a youthful, cheerful and wonderful nation. Does the fact that Vietnam has a crazily young population affect the survey that DF mentioned? How about Vietnam’s internet penetration rate of over 30%? Young and wired – these are the Vietnamese that were most likely to take part in the report. Whenever I come to the IDECAF Theater, either on Le Thanh Ton street or Tran Cao Van street, HCMC, I always feel Vietnam is in a bizarre time. One moment it is in tears and right after that it is in cheers. The comedies I’ve seen usually communicate the idea of inequality, capitalism, urbanization and boat people in cute ways. So in summary I believe the World Happiness Report is right. Vietnam is happy but not in a traditional sense of the word. People beat each other to get ahead and to survive the marriage of capitalism and socialism, then we make fun of each other, get back on our feet, laugh and call it happiness. Sorry about my morning ramblings. To make up for it, I’d love to invite any listserv member in HCMC to the IDECAF Theater. I’m a typical Vietnamese belonging to the proletariat, but I can afford to buy happiness tickets. This resonates with those of us who live in Vietnam, for whom Vietnam is not simply a “subject of study,” an “issue,” or an abstraction. Granted, the years since the GFK poll have not been good ones for Vietnam’s economy. But in the grand scheme of things, it only makes sense that Vietnamese would be more optimistic than Americans. Since the early 1990s, the poverty rate in Vietnam has fallen from about 60 percent to 20 percent, according to the World Bank. Meanwhile, wages in the United States have stagnated and fallen to a record low as a percentage of GDP, according to the New York Times. 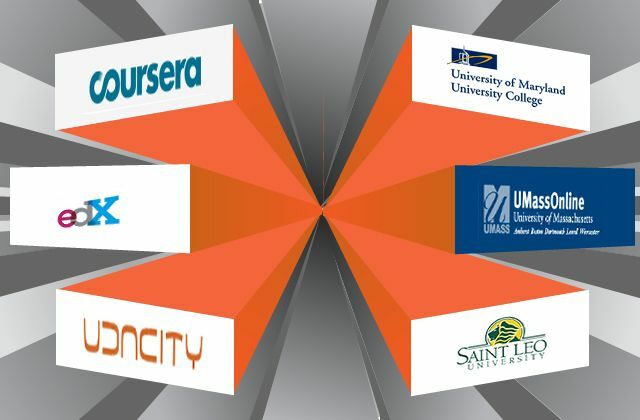 Guest Post: MOOCs for Vietnam? I first familiarized myself with MOOCs (Massive Open Online Courses) in 2009 as an undergraduate student. Since then, I’ve been a fan of sites like Coursera, iTunes U and edX, where I can hang around doing additional reading, submitting essays and listening to lectures by top professors from Harvard, Yale and MIT. Something I haven’t done and probably won’t be able to do in real life. Over a period of three months in 2009, I woke up every morning just to find myself contemplating that quote, or the introduction to a lecture series by a professor whose name I’d never known, whose expertise had nothing to do with my work or education and whose nationality was American. Michael Sandel is the name. 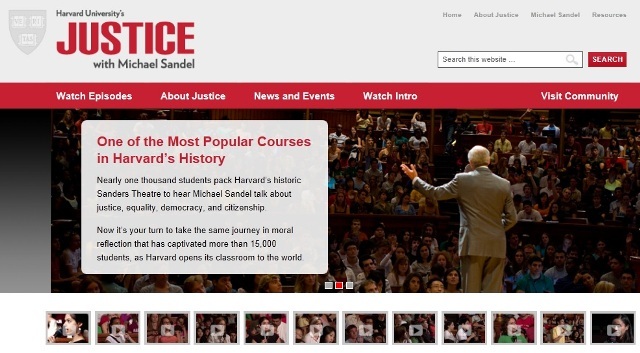 During the aforementioned three-month period, Harvard professor Michael Sandel released two lectures, whose total length was 45 minutes, every Thursday via YouTube and his life project’s website Justice. Taken together, his 24 lectures are nearly the same as Justice, a megapopular course at Harvard University. From his lectures, free to the public, I’ve questioned, unlearned and learned the basis of political and philosophical thinking. The West’s major philosophers, including Aristotle, Bentham and Kant, have been mentioned so often by Sandel that I always refer to them when facing a moral dilemma, especially if it happens on a Thursday. Apparently Justice gave me the kind of Ivy League experience that would otherwise seem “too out of reach” or “too distant” in real life. However, I believe its true added-value for me, as a Vietnamese, is that I received a kind of hand-holding on my philosophical journey, attempting to argue in a systematic way about Vietnam’s chronic issues. This assistance I treasure a great deal, especially given that Vietnam’s “market economy with socialist orientation” entails just so much confusion and that most of the available philosophical tools in Vietnam are outdated. Taking Justice, for me, was both accessing a free world-class education and learning about alternative ways of reasoning that no Vietnamese professors or government officials would care or dare to teach the youth of Vietnam. Since my first experience with MOOCs through Michael Sandel’s Justice was amazing, I forgot to question the implications that MOOCs may have for traditional universities. On 29 April 2013, a group of San Jose State University professors wrote an open letter to Michael Sandel and expressed their opposition towards using Justice as part of or a substitute for their philosophy courses. The “protesting” professors mentioned the disadvantage of online, non-human learning. They also pointed to the prospect of universities laying off staff in favor of purchasing one-size-fits-all MOOCs for their enrolled students. I believe the real problem here is not whether universities should incorporate MOOCs like Justice into their curricula, but whether universities must obtain a paid license to use them. No one would be foolish enough to trade MOOCs for real human interaction in the classroom. For the moment, MOOCs do not have a lot of implications for Vietnam, but when more foreign universities take Vietnam seriously in their internationalization efforts, MOOCs will offend a lot of Vietnamese professors and staff. In fact, the “threat” is already there, given that Michael Sandel’s Justice lectures have been fully translated into Vietnamese. This blog post from Diplopundit and the 15 April 2013 article on which it’s based, entitled “How (Not) to Become a U.S. Ambassador” by Greg Rushford of The Rushford Report fame, definitely fall into the category of Intrigue. On April 15, Greg Rushford of The Rushford Report published this piece on How (Not) to Become a U.S. Ambassador. The article refers to the U.S. Consul General in Ho Chi Minh City, career Foreign Service officer An T. Le. Our U.S. Ambassador to Vietnam is David Shear who arrived at post in August 2011. Under typical appointments, Ambassador Shear, as a career diplomat appointed to his position by President Obama, is expected to serve until the summer of 2014.